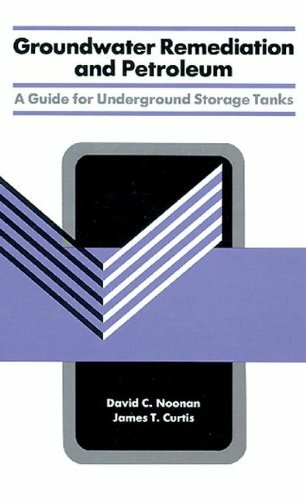 Groundwater Remediation And Petroleum: A Guide For Underground Storage Tanks: 9780873712170 Hardcover - LIMEROCK BOOKS INC. This new book presents state-of-the-art for treating groundwater contaminated with Petroleum Hydrocarbons, based on CDM's vast experience in treating contaminated groundwater using air stripping, GAC and biorestoration. Design issues and pitfalls to avoid when implementing treatment technologies are explained. Capital costs, operation and maintenance costs, unit costs are presented. Groundwater Remediation and Petroleum is the most comprehensive examination of these technologies and the implications of recent UST regulations. It provides hands-on information in the form of detailed step-by-step design procedures and case studies.